Golden Lagers & Pale Lagers: where they come from, their appearance, flavour & aroma, palate & mouthfeel, food pairings and serving suggestions are all explained in this Beer Styles 201 article. What is a Golden Lager / Pale Lager? A Golden Lager, often referred to as a Pale Lager, is pale-to-golden coloured lager with a varying degree of hop bitterness. Golden Lagers tend to be crisp, dry, and clean. Pale Lagers and Golden Lagers have no beer ingredient that dominates another. Golden Lagers and Golden Ales have similar colors and mouthfeels, but the difference is that Golden Lagers are bottom-fermented at cooler temperatures. This deep to light golden beer has variable head retention, but is always clear. Golden Lagers tend to have a slight bitterness and herbal hop notes with a delicate grainy or sweet malt character. 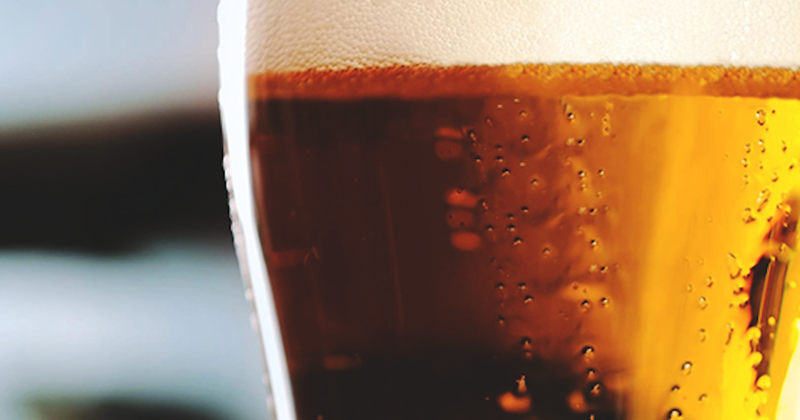 Pale Lagers are highly carbonated with a light almost water-like body. They have little or no after-taste. What foods pair well with Golden Lagers? Golden & Pale Lagers are light-bodied beers. They pair perfectly with light foods like seafood, chicken salad, quesadillas and corn on the cob. These beers should be served chilled around 46° F (8° C). If you are looking for beers with similar carbonation, but a heavier mouthfeel try Blonde Ales or Pilsners. In this third part of this series on beer’s ingredients, we will look at water, the largest single component of beer. As much as 90-95% of a beer can be water, yet it is easily the most overlooked constituent. In the second part of this series on the ingredients of beer, we will examine hops, the additive that provides an assortment of flavours to beer. Join us as we cover Germany’s well-known sour beer styles; from Berliner Weisse and Gose to Lichtenhainer. A brief history and vital statistics about each sour beer style. Craft beer and epic landscapes in the Pacific Northwest.